Every once in a while, this discussion comes along. In forums for newbies, but also in forums for the more knowledgable collectors, like Watchrap.com. Aside from differences in the look & feel of these two brands, people also tend to question which movement is better. Better in terms of finish, accuracy, durability and¬robustness. 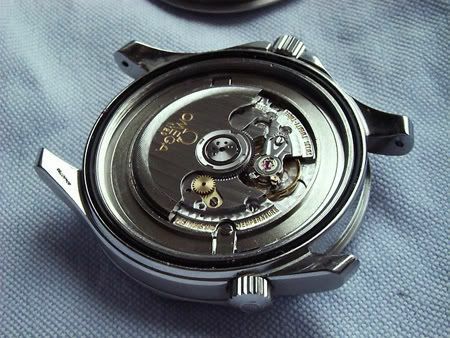 At WatchRap, someone asked this question about the Omega caliber 1120 (based on ETA 2892-A2) and Rolex caliber 3135 (inhouse). “As far as robustness goes, I’d have to give the edge probably somewhat to the cal. 3135 as it uses very, very tried and true materials and it’s pretty much optimized to keep a very close rate using well tried materials and methods. Overall it’s a pretty rugged piece of work. Cal. 1120 is a modified 2892 and considering how many millions of watches are running the movement, and how much experience the industry has with them, it’s as close as anything to a guarantee that it’ll run like a top for as long as you own it. I personally find cal. 3135 to be a more interesting movement because it’s got more optimizations for chronometry, including an overcoil, adjustable balance bridge, etc. but that doesn’t mean that any watch running a 2892 base caliber is going to give you trouble.